How Simple Is It to Shop for Affordable Online Life Insurance? Ready to buy online life insurance? You’re not alone. I’m doing everything online these days from instant-carting Farm Girl beer to refinancing my mortgage. I prefer to take care of most transactions online as I enjoy researching without sales pressure before I buy and I’m not a big fan of crowded malls. I like the convenience of online shopping. I can get my questions answered quickly via live chat without having to phone or run to appointments across town. This saves me time without sacrificing professional advice. It seems I can never get everything done on my to-do list, so my time is valuable to me. The more time I save on mundane tasks, the more time I can spend enjoying life. Maybe you’re wondering if you should buy your life insurance policy online? The short answer is that it is very convenient to comparison shop for quotes online and safe to do so. So, why not? Is it safe to buy online life insurance? If you’re wondering whether it’s safe to buy online life insurance, know that our industry is regulated in a similar way that online banks and mortgage companies are. We have to protect your financial data and medical history per government regulations. We also have to offer you the same life insurance products and pricing online as your local life insurance agent would offer you in person. What a life insurance broker like Quotacy can do for you is to show you up front and transparently all of the policies available in your zip code with one online search using our quoting tool. At Quotacy, you can get online life insurance quotes from dozens of trusted life insurance companies like Pacific Life, Haven Life, and many others in minutes anytime you’re online. Buying online life insurance doesn’t have to be complicated. After reading this article, you’ll know how to research and buy an affordable policy at Quotacy. So, let’s get started. Why might I buy life insurance? What type of coverage is best for my needs? How long does my term life insurance policy need to last? 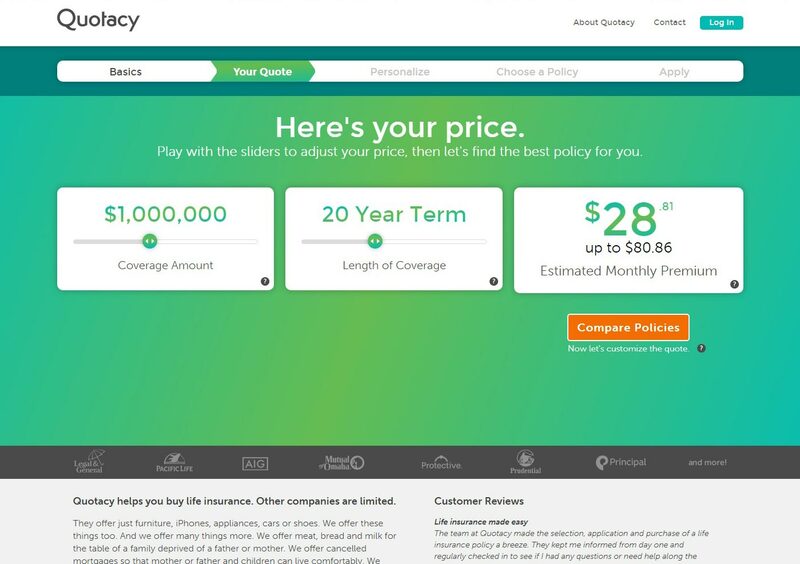 How much will my policy cost per month? 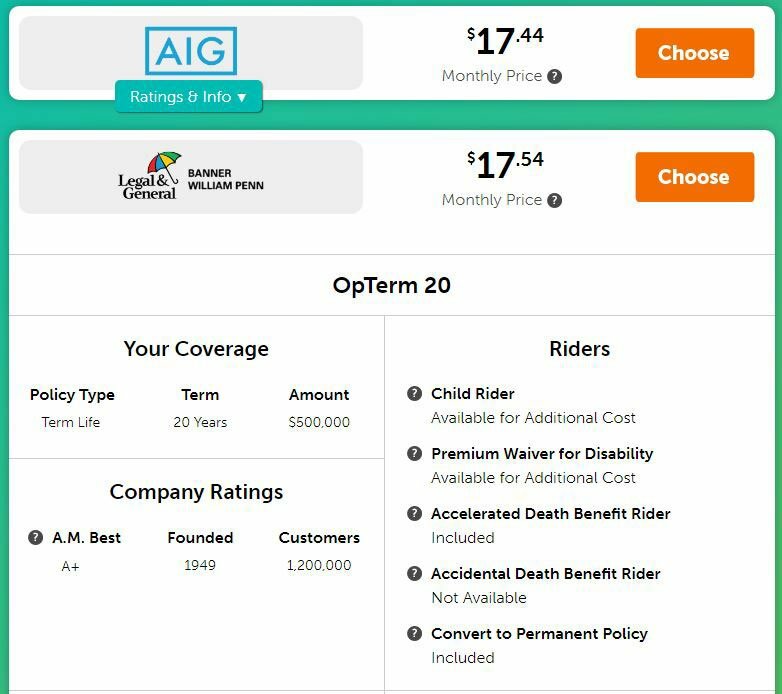 How can I comparison shop for online life insurance? Can I apply for my policy online? How long does it take to get insured? You can see that most reasons have to do with replacing lost income, paying off debt, or protecting your family from financial loss. Term life insurance is an affordable way to put a security blanket in place, especially if you have loved ones who financially depend on you. If you only need life insurance to protect your family for a specific period of time, term life insurance is a good option and it’s simple to buy online. Most people are building up their emergency savings fund as they get paid each month. If you haven’t set up an auto-withdrawal from your paycheck into your savings account, do it. It’s the most foolproof way to save a little bit each month. To bridge the gap until your savings account is more flush, buy an affordable online life insurance policy. Term life insurance is a good choice for many people as the policy can be tailored to match your needs. If you’re going to have enough emergency savings in 20 years and your mortgage will be paid off, then maybe you only need your policy to last 20 years. Term life insurance lasts for 10, 15, 20, 25, 30, or 35 years. There are also life insurance companies that will allow you to customize your policy length—17 years, for example. If you would die during those years (your policy’s term), the life insurance company would pay your death benefit to your family or beneficiaries. This payout amount could range from $25,000 to $500,000 to $25 million or more, depending on how much online life insurance you buy. Financial advisors recommend that you buy 10 times your income. If you make $100,000 per year, then you would buy a $1,000,000 term life insurance policy. 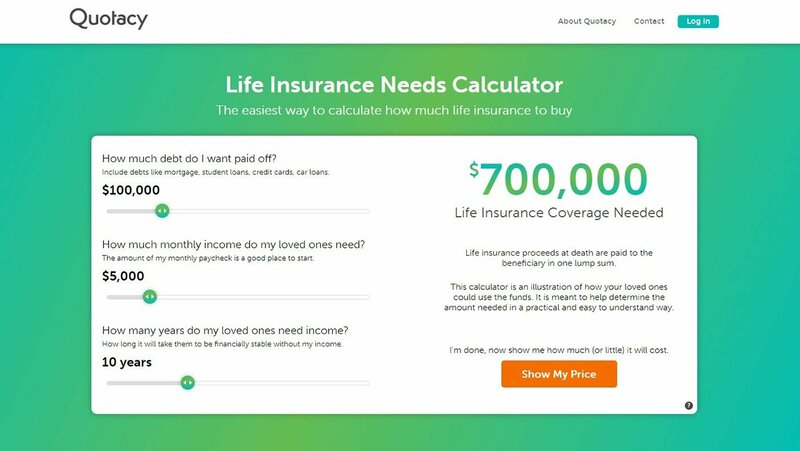 You can use our handy life insurance needs calculator to figure out how much online life insurance to buy. Term life insurance is priced according to how much coverage you buy, how long your policy lasts, and your risk class. the higher your risk of dying is. the lower your risk of dying is. The easiest way to test drive your pricing is to anonymously play with our quoting tool sliders yourself. It won’t cost you anything and you don’t have to give us your driver’s license (or any other personal contact info) to see your online life insurance pricing in action. 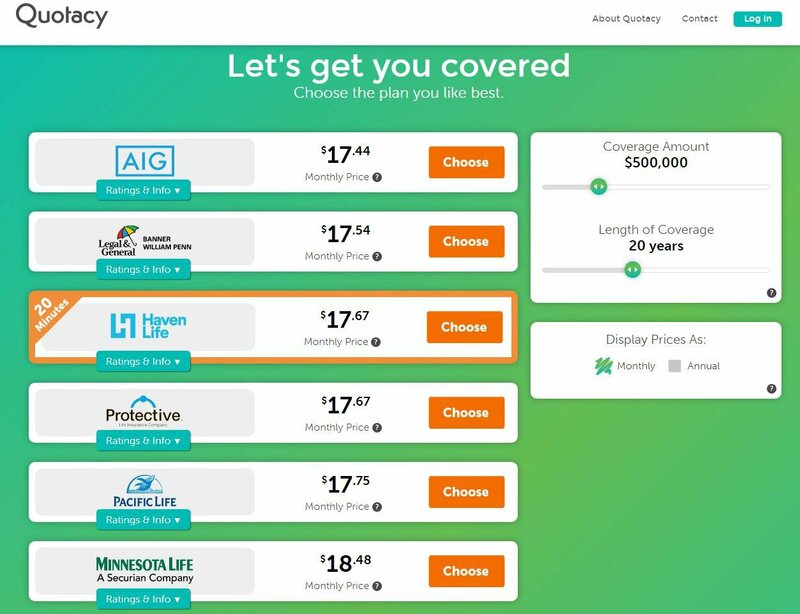 The simple way to comparison shop for online life insurance is get your quotes from Quotacy today. You can start by calculating your life insurance needs or just jump in play with our quoting tool to see a range of term life insurance pricing customized for your needs. After you’ve found a quote that you like, you can save it to your dashboard in case you need to do some more research or talk to your life partner later about buying online life insurance. Here’s what our dashboard looks like. 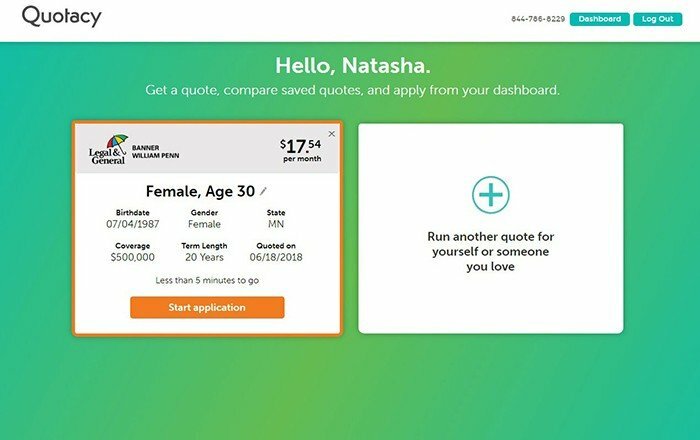 You can see that Natasha has saved a quote for a $500,000 term life policy that will last 20 years that will cost her less than $18 per month. You can also see that Natasha could run additional quotes on a loved one right from her own dashboard without having to create another account for them. This is really handy for couples who wish to buy online life insurance on each other at the same time. If you’ve shopped on Amazon or refinanced through an online mortgage broker, maybe it’s time for you to buy life insurance online. We created Quotacy to make it simple to get life insurance anywhere you’re connected to the Internet. Can I apply for life insurance online? Yes, after you have chosen an online life insurance plan that you like from your list of quotes, just hit the orange “Choose” button. Then you can start your application online and complete it in minutes all on Quotacy’s website. Some policies like ones from SBLI require “no lab work” to get covered. So, if you’re afraid of needles for blood work, that might be a good option for you. Otherwise, most life insurance companies do require a phone interview to answer medical history questions with a follow up medical exam that can take place at your convenience at home or your office during your lunch break, for example. We have a very popular article on how to get the best results on your life insurance medical exam with great tips that are easy to follow. Read it if you’re curious about that now…or later when your physical exam has been scheduled. It really depends on whether you need a medical exam or not. Expect, at least, a few weeks to two months to be fully insured. While our online life insurance quoting process is as streamlined as possible, Quotacy is not in full control of all the steps going from quote to coverage. 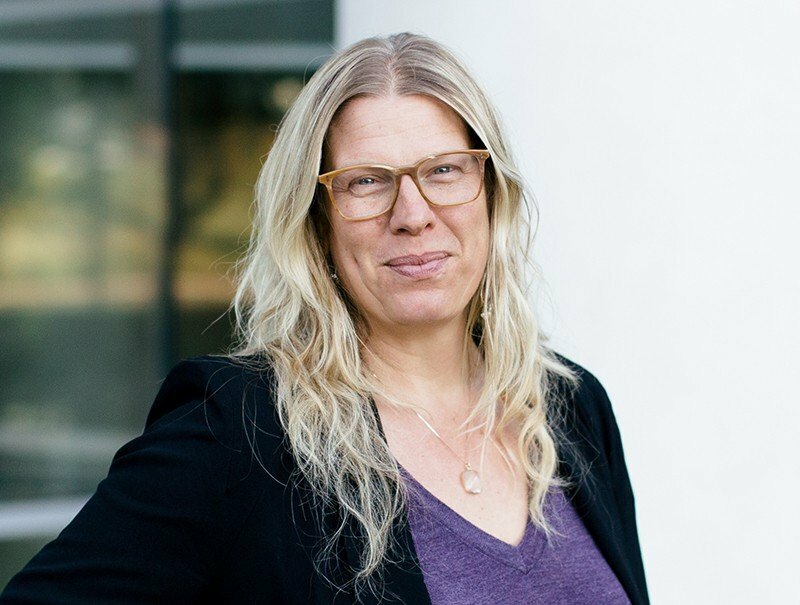 We work with clients every day who are running deadlines to speed up pulling medical records and advocating with the life insurance companies to get a policy fully underwritten. That is one reason that so many individuals like you (and nationally-known financial brands) work with Quotacy. We really know how to do all the behind-the-scenes paperwork that happens once you have applied for your online life insurance policy. We’re great advocates for our clients with the life insurance carriers and we would be happy to serve you. To get a sense of our excellent customer service, read our TrustPilot reviews from online life insurance buyers just like you. They’ll tell you in their own words what it was like to work with Quotacy for life insurance.